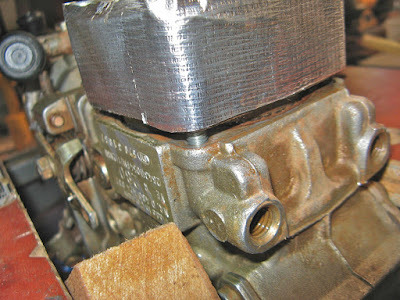 The injector pump on our Oka developed an annoying minor leak from the rear distributor head several years ago but recently it got suddenly worse and was losing around 200 ml each time it started or stopped, and dripped all the time in between. So it was Time Something Was Done. 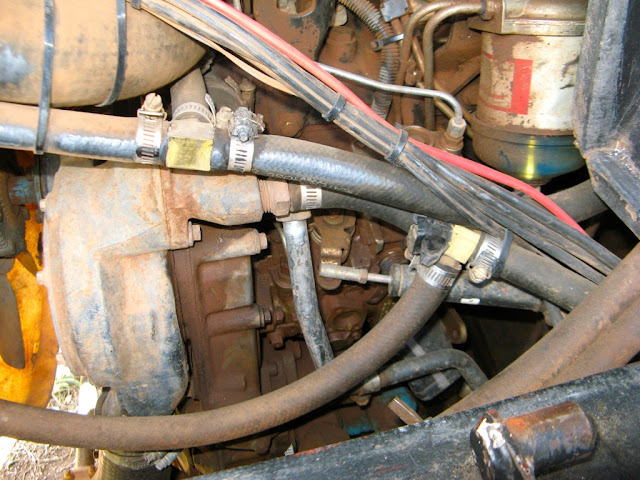 The cause of the leak is hardening of the O-ring around the rear distributor head following the removal of sulphur from diesel fuel some 10 years ago. The sulphur acted as a lubricant keep the seals supple and its removal (on good environmental grounds) allowed seals to harden and leak. Removing the pump to replace the seal it is not a trivial job and it got more challenging the further I got into it, but I have now done it successfully and it required only a few spares, some fairly normal tools plus a few days of work. No really tricky skills are required and anyone with reasonable car maintenance experience could do it. And unless there is something else seriously wrong with the pump, there is no need to go to the expense of a professional rebuild. 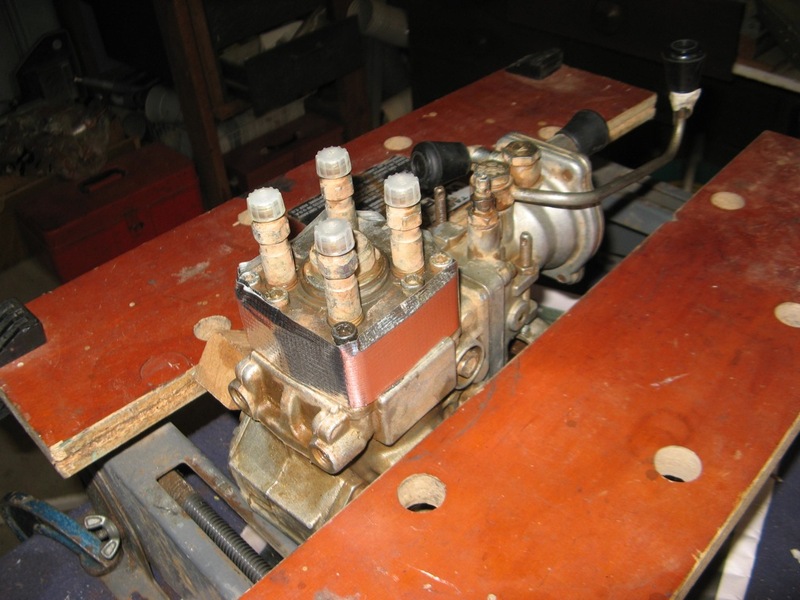 I got a lot of useful tips and support from my mate Dave in Perth who was a “transportologist” (truck driver) and has had a lot of experience of injector pumps and diesel engines, including an Oka. 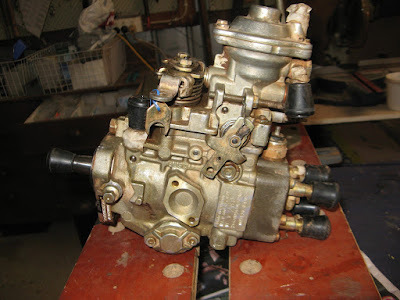 So finding someone who knows about injector pumps and/or Okas and can advise you is a well worthwhile. Internet resources may be relevant to the Bosch VE injector pump but they are not likely to be specific to the Perkins engine on an Oka. Before starting, read all you can find about the VE pump from internet resources, especially the warnings about engine timing and how not to lose it, and ensure you have or can get the item listed below. 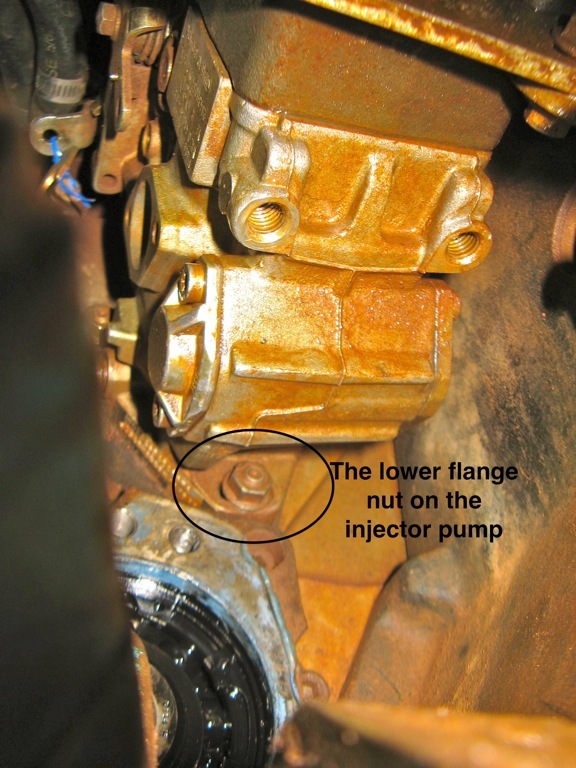 Note: If your pump does not have a shaft locking bolt like in the photo below, do a lot more research on engine timing before embarking on this process. Remove the passengers seat and side engine access panel. Thoroughly degrease and clean the side of the engine, pumps and fuel filter with degreaser. Take plenty of photos of the location of pipes, bolts and cables to aid subsequent reassembly. Move any cables and water pipes aside and hold with tie wraps to provide easier access to the pump area. Mark the top of the pump front cover on the timing case below the water pump housing (for ease of reassembly since it’s asymmetric) and remove the cover. 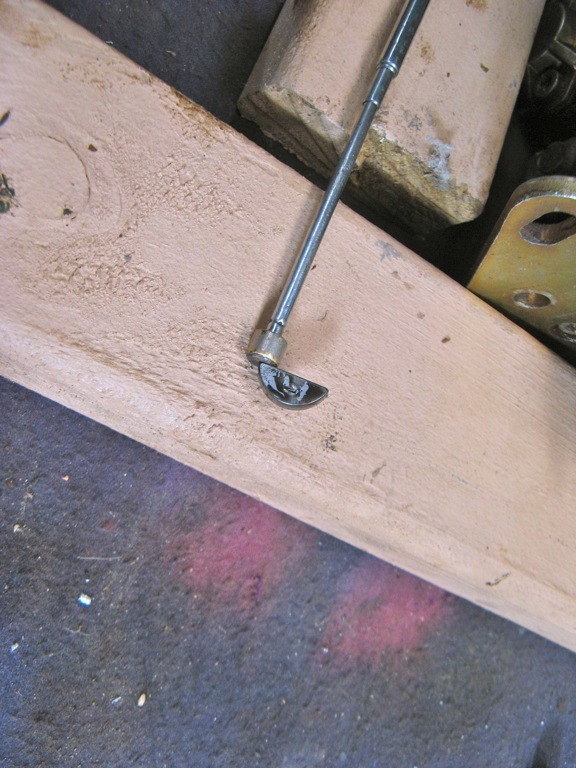 Loosen the drive shaft nut far enough to see the keyway (using a mirror) and ensure that it is pointing upwards. (Note: avoid dropping the nut or lock washer down the front of the timing case. Stuff a rag down there and use a magnetic wand). Put the nut back on if you have to turn the engine to make the keyway upright. It was tightened to 58 ft-lbs. Disconnect the starter battery to prevent the engine from being turned any more. Lock the pump drive shaft by removing the wedge shaped spacer bar (it has a slot rather than a bolt hole so it can fall out as soon as the bolt is loose), tighten the locking bolt and secure the spacer to the pump throttle lever with wire to remind you to unlock the shaft after reassembly. (Note. 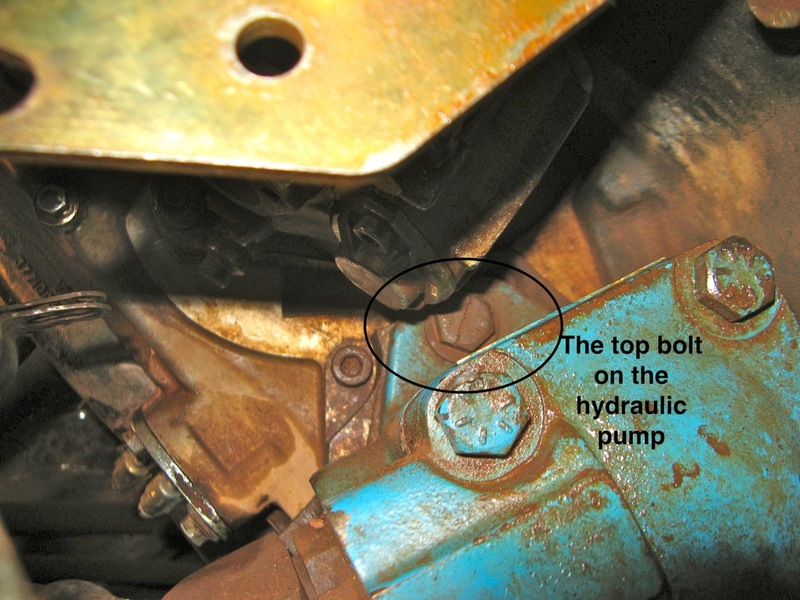 Do not turn the engine with this locking bolt engaged, you will damage the pump). Mark the fuel direction on the 2 fuel filter pipes from the lift pump and the return to the tank using sticky tape to avoid later confusion. 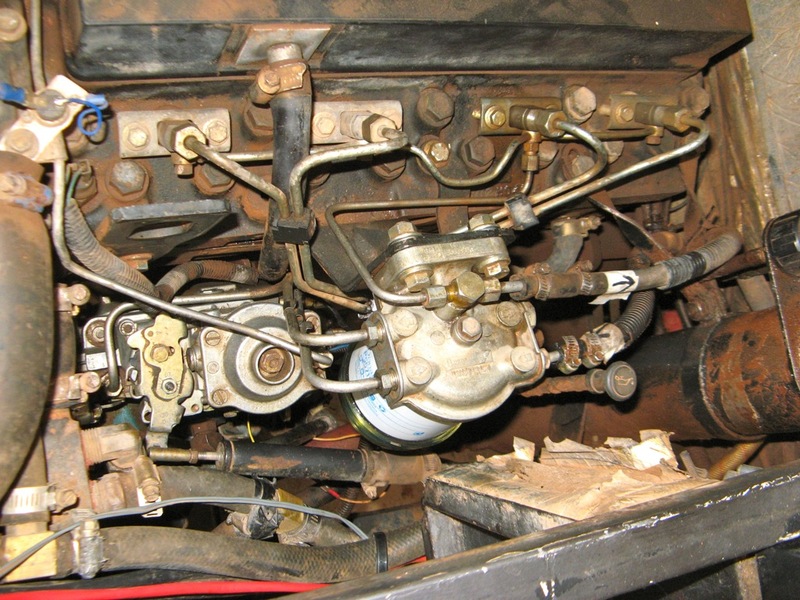 Remove the fuel pipes between the filter and injector pump. Remove the fuel filter and bowl behind the pump. Remove the remaining fuel pipes from the top of the injector pump. Release the throttle cable end from the pump lever. Remove the water pipes from the thermostat housing and rear engine block to the oil cooler. This improves side access and allows the oil cooler to be removed later. 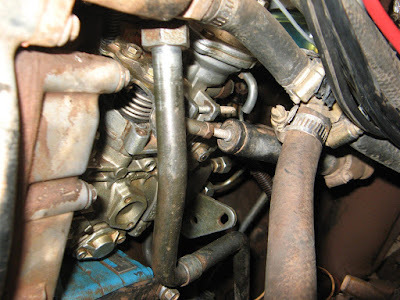 Remove the high pressure fuel lines from the rear of the injector pump and the injectors on the engine and put aside so that no dirt can enter the pipes. Cover the exposed ports on the injectors and the rear of the pump with tape or screw caps (eg chair tips) to avoid dirt falling in. If there aren’t any timing marks, scribe some on the flange of the injector pump and the timing case to use later as confirmation of correct reassembly. Scribe timing marks on timing case (this needs one on the flange too). 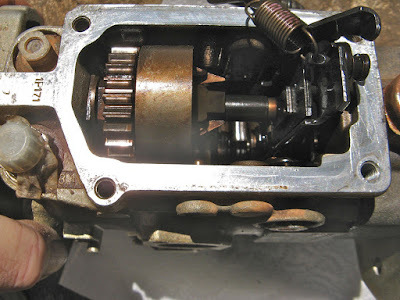 Remove the front drive shaft nut (22 mm socket) and lock washer, being careful not to allow them to drop into the timing case (stuff a cloth between the front of the gear and the timing case and use a magnetic wand). The nut is tightened to 58 ft-lbs. Access to 2 of the 3 pump flange nuts is very difficult, particularly the lower nut which will probably require the hydraulic pump to be withdrawn and moved aside for access (however it’s not necessary to remove any hydraulic pipes). 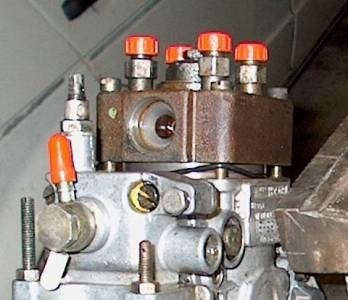 Access to the top bolt holding the hydraulic pump on is also very difficult as it is partly hidden below the injector pump and it’s easier if the oil filter/cooler mounting is also removed first. 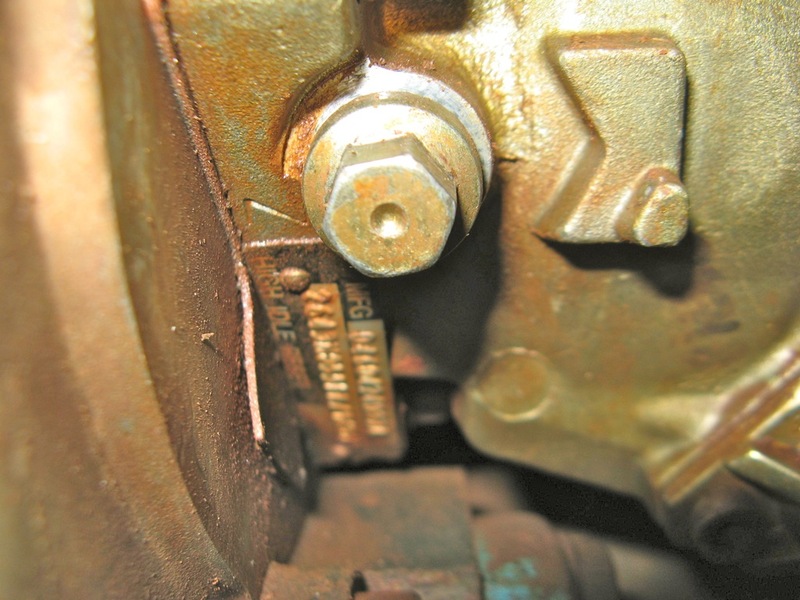 You may need to make up a special tool to remove this bolt as it comes very close to the bottom of the injector pump as its being undone and ring spanner can no longer be used. (If you are lucky someone will have replaced the top bolt with a socket head bolt, as I have now, so that a long Allen key can be used from the rear). My top bolt has a slot cut in it for a screw driver but I didn’t realise what it was for until I had removed it. The hydraulic pump will need to be twisted sideways while being withdrawn (and when being replaced) as its top flange will strike the bottom of the injector pump before the splined shaft has cleared the drive gear. You may also have to release the proportioning valve from the front chassis to provide sufficient slack for the hydraulic pipes. Push the pump downwards and out of the way but don’t damage the splines on the engine mount. Cover the gear opening to avoid dirt falling in. The injector pump is now more accessible. Loosen the top 2 flange nuts most of the way so that when the pump is pushed back it can’t fall off the studs. Remove the lower flange nut. This is the most difficult nut to access of the whole job. It is recessed and difficult to fit a socket on and might require a special tool made up to remove it. I shortened the handle of a deeply offset 13mm ring spanner, since there is limited room to rotate a full length spanner. Whilst it didn’t happen to me, others have experienced the studs coming out of the timing case instead of the nuts unscrewing. In this case they will need to be reinserted minus the nuts and tightened before reassembly. Remove the nut and bolt holding the rear support plate of the pump to the bracket on the engine block. (Note, this is very easily overlooked, as I found). Using a bolt-on gear puller, push the pump shaft out of the drive gear. (Do not use a gear puller hooked against the timing case, it will break the case. 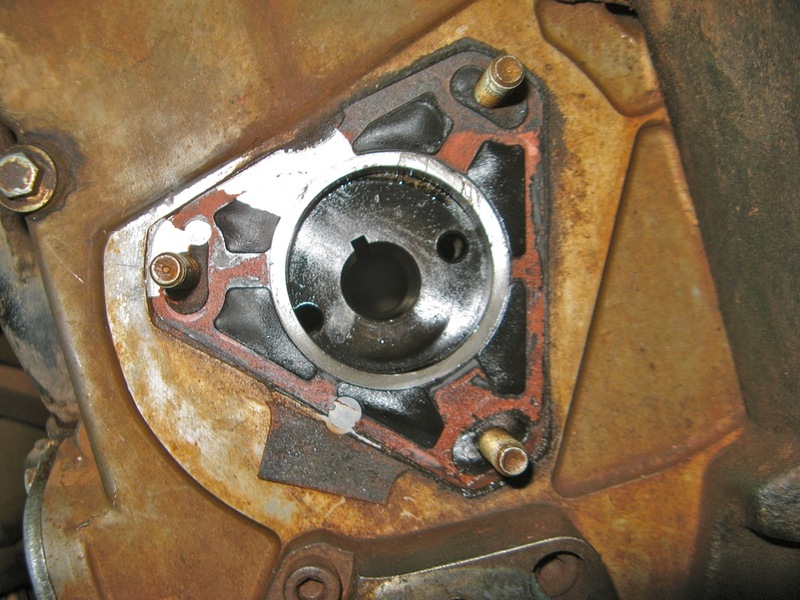 There are 2 M8 bolt holes in the drive gear for a bolt-on puller.) The drive shaft is tapered and can be very difficult to dislodge. Apply tension to the puller and then give the centre bolt a sharp tap with a mallet to break the joint. Remove the remaining flange nuts and carefully withdraw the injector pump from the rear, ensuring that the woodruff key does not fall out (use a magnetic wand as soon as it’s visible). 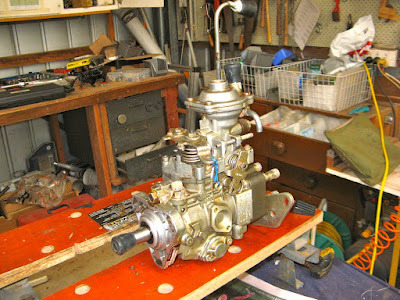 The injector pump is bigger and heavier than it looks (around 6-7 kg) so provide support to ensure that it can’t fall over, or fall off the work bench. 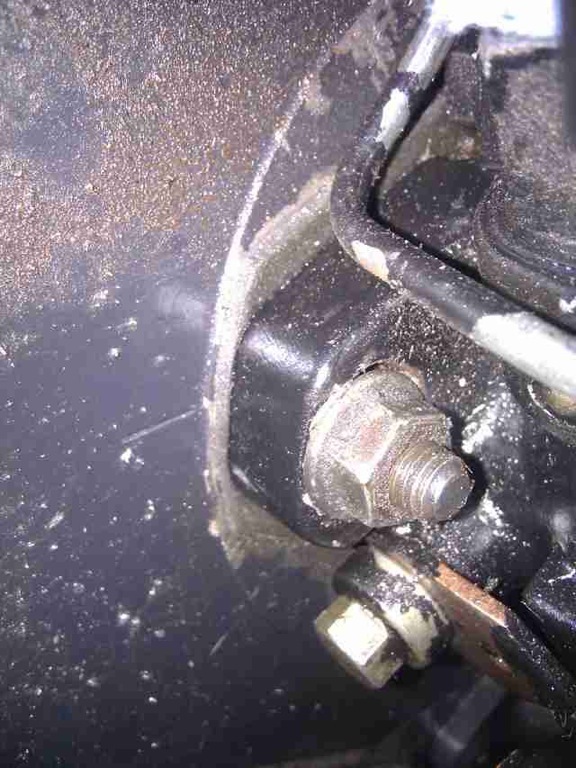 Protect the drive shaft threads with a rubber chair tip. After removing the injector pump, the drive gear may appear to have moved. It can roll sideways on the gear teeth but should stay in mesh. Don’t be tempted to relocate it manually, you might loose the engine timing. It can be recentred during refitting of the pump. There are a number of internet resources available which describe how to replace the rear O-ring seal on the VE pump, especially this one at http://www.crustycrank.com/resealinjpump.htm#injpump. All of them emphasise that the pump should be held vertically downwards with the distributor head pointing upwards so that as the head is released, no internal parts can drop out of their correct position. I clamped my pump in a small wooden bench vice mounted on top of the workbench for ease of access. Use wooden blocks to avoid damage to the pump when clamped. Remove the rear support plate on the pump. This is held on (in my case) by a combination of Torx and Allen headed bolts which can be quite tight so avoid damaging the heads during this process. I didn’t need any additional help to remove them but if they won’t loosen easily, a suggestion is to use a a pipe or G clamp to hold the Torx/Allen bit tightly into the bolt head and turn it with a spanner. 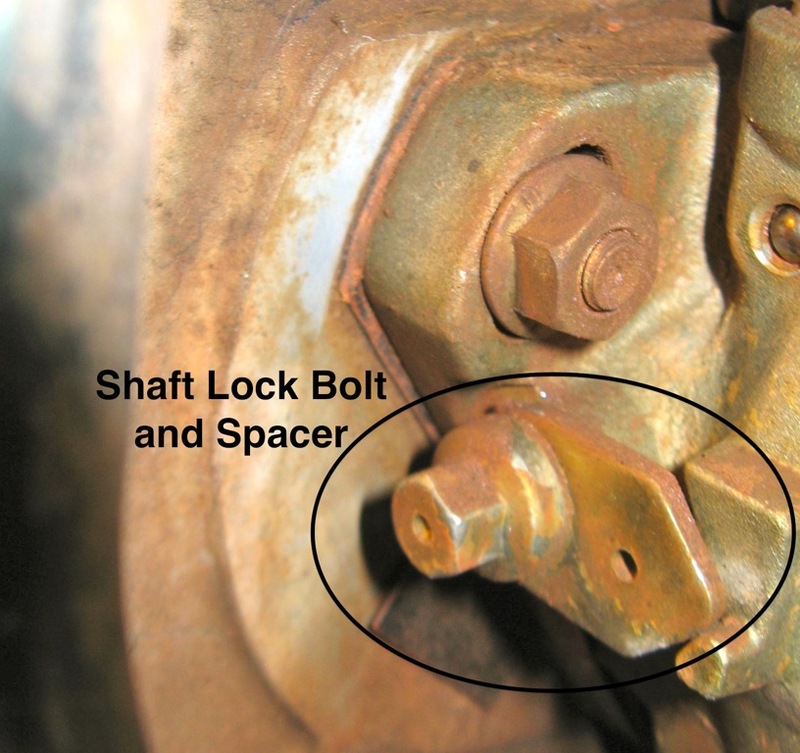 One of the bolts holding the rear support plate on is also one of the 4 bolts securing the distributor head. Replace that bolt after removing the plate. Remove the fuel cut off solenoid from the distributor head and carefully remove the plunger and its spring. To access the O-ring, the distributor head must be partly (but NOT completely) released. Wind some smooth tape around the rough exterior of the distributor head so that the new O-ring is not damaged during fitting, but don’t cover up the bolt heads or holes, access will be needed. 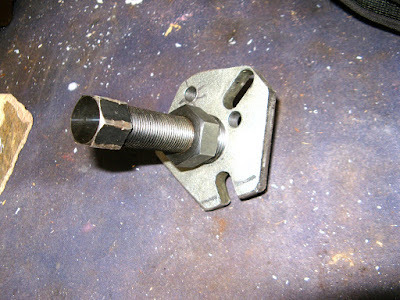 Undo the 4 bolts progressively until you can see the head moving upwards (depending on the position in its cycle when it last stopped, the head may be spring loaded and come up by itself). Continue to undo the 4 bolts progressively, ensuring that the head is coming up with them, until the O-ring can just be seen but no more. The head may need to be lifted gently to ensure this but don’t allow the head to come completely out. It may not cause any problems but why take the risk? Remove 2 diagonally opposite bolts leaving 2 bolts holding the head in place. 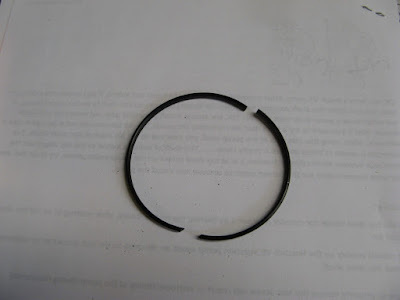 Carefully lift and cut the O-ring and remove it but don’t scratch the groove that it sits in. I used a wooden cocktail stick but the O-ring was hard and brittle (which was the cause of the leak) and broke easily. Clean the O-ring groove as well as possible. Now the new O-ring can be fitted. Grease the outside of the tape and the new O-ring well and stretch it over the distributor head. Slide the O-ring down until it drops into the gap and carefully manoeuvre it into its groove on 2 sides. It will still be on the outside of the 2 bolts. Reinsert the 2 bolts which were removed so that they hold the head in the same position, being careful not to damage the O-ring on the way. Holding the O-ring away from the threads (I used a cocktail stick), remove the first 2 bolts one at a time and allow the O-ring to slip into the groove. Once the O-ring is fully in its groove, tighten all 4 bolts progressively so the head slides evenly back into its location. Refit the rear support plate. 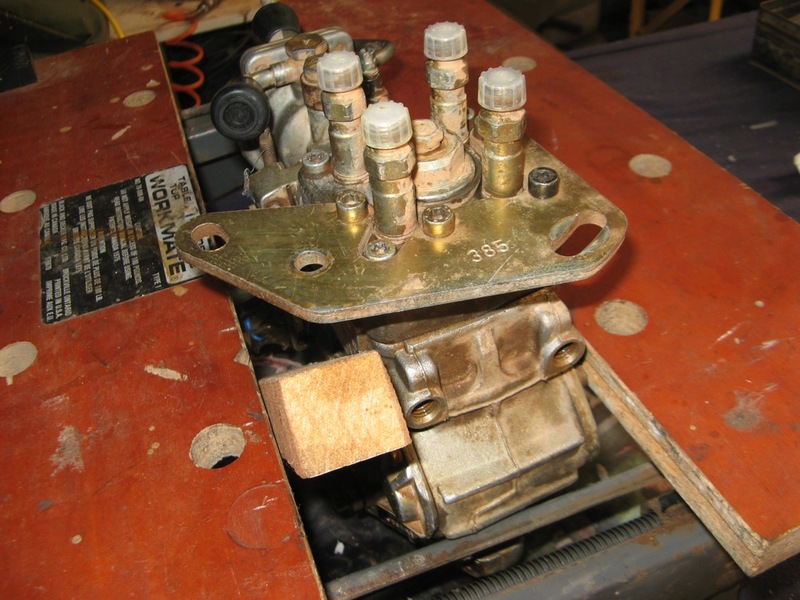 Reinstall the fuel cut off solenoid with the plunger and spring. If no other work is required on the pump, the resealing task is complete and it can be refitted to the Oka by reversing the above process. In my case I also wanted to flush out the inside of the pump since I had previously replaced the throttle shaft and its bush and seal, and wanted to remove any lingering swarf and dirt that may have been left in the pump body from that process. Since I did that job without removing the pump, I could not easily flush it out at the time. 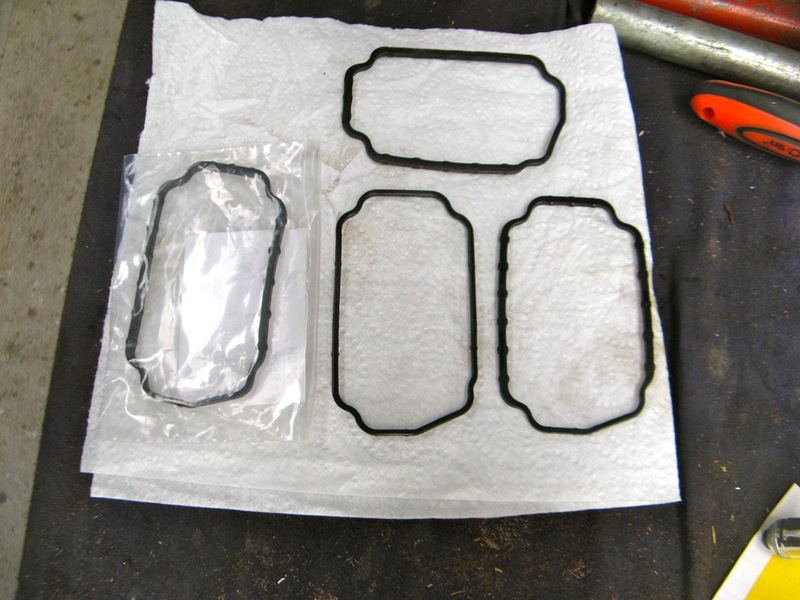 To do this you will also need a rectangular top cover gasket which probably came with the gasket/O-ring set. Removing the top cover is fairly straightforward but the throttle linkage inside needs to be removed carefully. It is also a bit tricky to replace when putting the cover back on and this blog entry explains how to do that. I used the lift pump lever to pump some clean filtered diesel into a container to flush out the pump and then refilled the pump with clean diesel before refitting the top cover to make subsequent priming of the system a bit easier. While it was empty, I also checked inside to ensure that no components had moved or fallen out during the resealing process. Use Loctite on all major bolts and nuts, as in my case none of them had spring washers or nyloc nuts and you don’t want these critical parts to come loose. 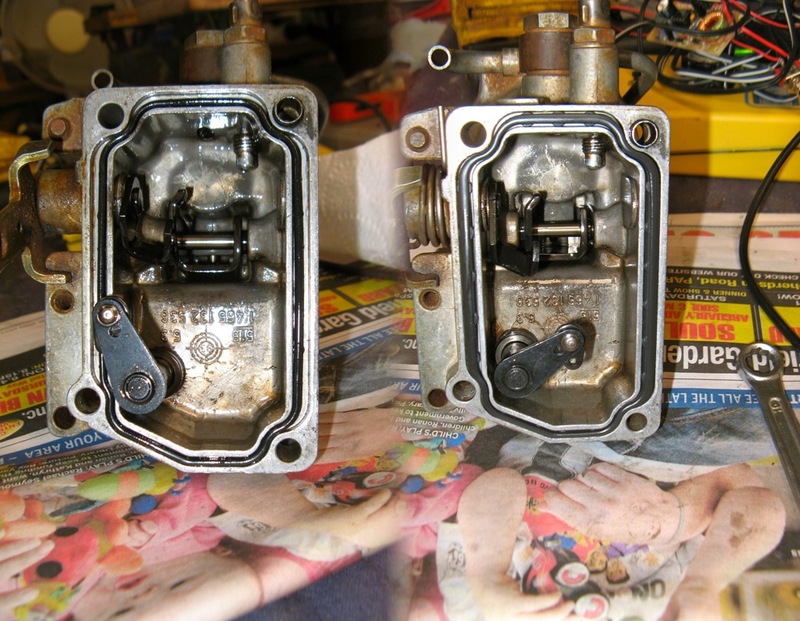 Clean everything well before reassembly, especially oil passages where dirt or bits of hardened gasket may have lodged. 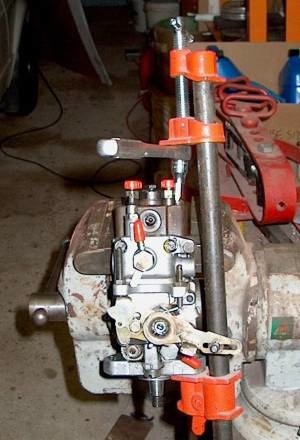 Refit the hydraulic pump by twisting it sideways while holding the splines level to mate with the drive gear. Use a M8 socket head screw in the top bolt hole and a long Allen key to tighten it from the rear. I replaced the oil filter element since it need one anyway and the oil filter mounting was easier to replace without the filter attached. In my case the block on the side of the engine did not detach so I didn’t need to replace its gasket. I also replaced the element in the fuel filter and cleaned out the bowl while it was out. When refitting the injector pump, ensure that the woodruff key is well seated in its slot and can’t easily get knocked out. To re-centre the pump drive gear, insert an M8 bolt into the front of the gear and using a rubber strap, gently pull and secure the gear across the engine so that the centre hole is approximately central in the opening and the keyway is upright. The tapered shaft on the pump will then automatically centre it correctly. Check that the timing marks scribed earlier still line up before tightening the flange nuts. Double check that the shaft lock bolt on the injector pump has been reset and the spacer refitted before attempting to turn the engine. 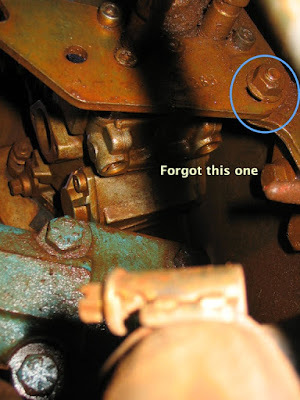 Torque the drive shaft nut, with a new lock washer, to 58 ft-lbs. I also checked visually that the woodruff key was actually in the slot before finally tightening the nut. Note that the pump drive gear cover is asymmetric and only fits one way round. 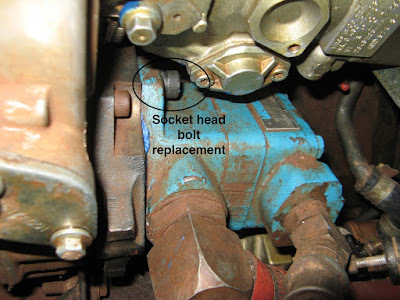 Loosen the banjo nut on top of the fuel filter and use the priming lever on the lift pump to fill the bowl until fuel comes out of the banjo nut, then retighten it. If you are replacing the oil filter, refill the element with around a litre of oil before refitting it, to aid the re-priming of the oil system. Switch off or disconnect the lead to the fuel cut off solenoid on the injector pump and spin the engine until the oil pressure comes up before actually starting the engine (a good idea even if you haven’t just resealed the injector pump. Don’t forget to refill the radiator and check for water leaks. 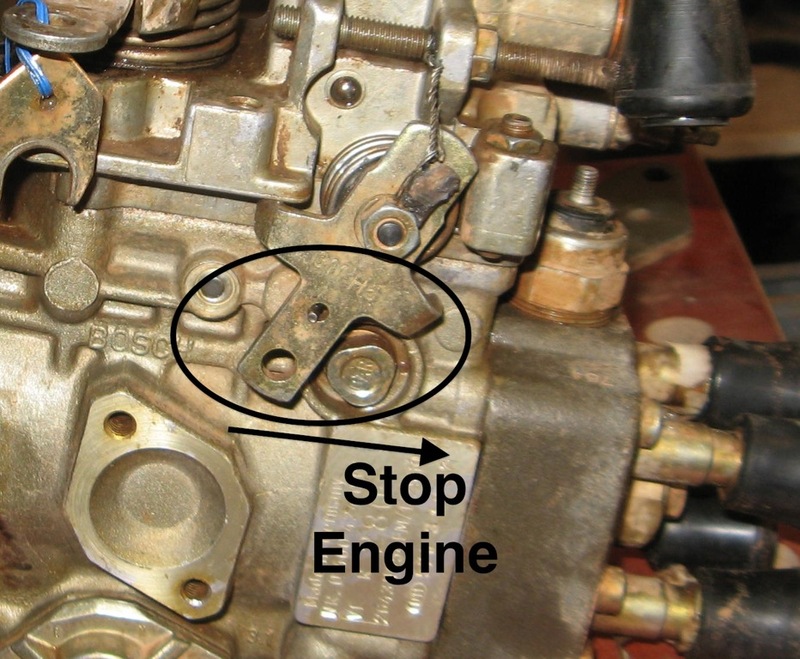 Loosen the injector nozzle nuts on cylinders 2 and 3 slightly to allow air trapped in the injector pump to be cleared after the engine first starts. A mist of diesel will squirt out so keep clear of the injectors. After about 10 seconds, stop the engine and tighten the nuts. My engine fired immediately and ran fairly smoothly during this process but ran very smoothly after tightening the injector nozzles. If for any reason something goes wrong and the engine over revs, there is a mechanical "stop engine" lever on the side of the pump. Subsequent test runs showed no signs of the original fuel leak. Recheck the water level after a few test runs and the task is complete. About 2 weeks after the rear seal was replaced, a quite severe leak developed around the top cover of the pump. This was very annoying, meaning that the top cover had to be removed again. The cause was found to be an undersized o-ring seal around the top cover. How this came to be in my overhaul kit remains a mystery as it's the same shape as the original, and the new seals, but was much thinner, accounting for the leak. On the left, the seal which leaked after 2 weeks. Note that is is much thinner than the new seal on the right. When replacing the top cover seal, ensure that you have the correct size for your pump to avoid an unnecessary secondary rebuild. It's much more difficult replacing the top cover seal with the pump attached to the engine than on the bench. See here for how it can be done. 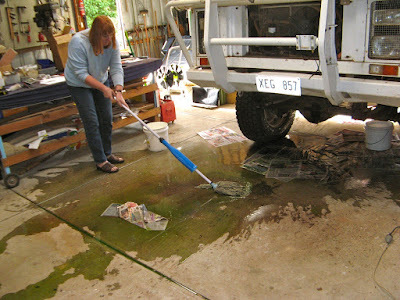 If this leak had occurred after leaving for a long outback trip it would have been extremely frustrating. While the top cover was off, I also replaced the Stop Lever seal and the throttle shaft seal. Repair seal kit, 1 467 010 059, $22.00. This contains all the rubber seals, copper washers and screw caps to overhaul the pump (but no instructions). If you need to replace the throttle shaft and its press-in bush due to wear, order those items separately. Top cover o-ring seal, 1 461 015 302, $4.00. I bought a spare top cover o-ring seal in addition to the one in the kit. 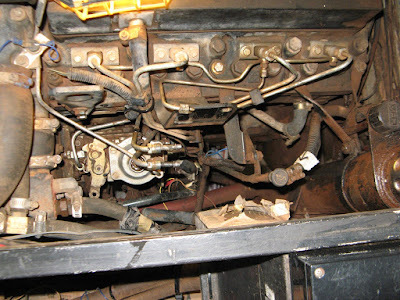 I completed the above resealing of the injector pump in April 2012. 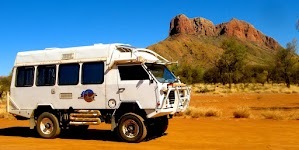 During June to September we did a 13,000km trek across the desert tracks of WA, NT and SA (see here for details) and I'm pleased to say we had no leaks from the injector pump and engine performance was at least as good as before and maybe a bit better at the top end. The fully loaded Oka would cruise at 90kph when required whereas previously it wasn't very happy above 80kph. Overall fuel consumption was a tick over 6.5km/l. Replacing the Rear Seal on the VE Injector Pump was very tough for me but now it seems easy. Thanks for the information. It is fun replacing the rear seal with the above mentioned method.The steps are easy to understand and execute.Thanks for the info.